What Software Can be Used as an Adobe After Effects Alternative? Everyone loves Adobe After Effects. But, it's really expensive. There are, however, some alternative programs that you can get for free and use instead of this costly program. Adobe After Effects is a program that allows you to add effects to your video clips, and you can also use this software to composite two clips together. While After Effects is a great software program, it’s a little expensive for most people, costing between $300 and $400, and you are looking at spending around $1,000 if you purchase one of Adobe’s software suites. There are, however, some alternative programs that give you the same functionality, and some of these programs are free. 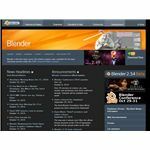 First up is Blender. 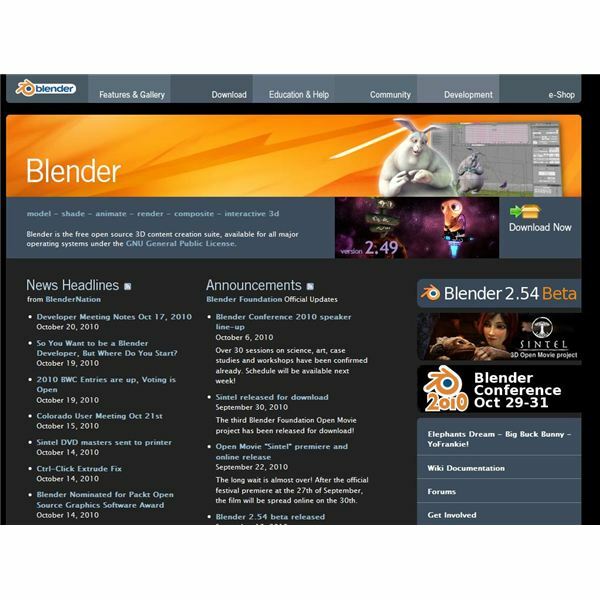 Blender offers you its services under the GNU Public License, which means that you can use and share this program without paying a licensing fee. For a free tool, however, it’s really comprehensive. You can create 3D graphics and models, but that’s not all. You can then animate and render your graphics, and add effects like water/fluid simulations and texturing. Further, the tool is surprisingly easy to use, but you have to be a little patient with it. It’s slower than After Effects, but it makes just as nice animations. Advanced users will find this free tool quite useful. Another free, open source tool is Cinefx. This tool allows you to do simple video editing and compositing, but you can still add effects to your video clips. And, the interface is pretty intuitive so even beginners will quickly pick up on how to use this software. You can view all of your clips in a timeline in the same way as After Effects, and the timeline is actually a bit more intuitive than After Effects since the clips look larger on it. It supports all the major media formats, including AVI, QuickTime and MPEG. If you have a Mac, then you probably have iMovie. While this is a pretty simple video editing tool, it’s actually not that bad, especially if you just want to clean up some clips. Plus, it’s free with your Mac, or you can download it for about $30. But, that is the one caveat with this program; it’s for beginners. So, you should only use it for simple edits. Another Adobe After Effects alternative is Karbon14. For those who love vectors, you have to check out this program. This is strictly a vector graphics editor, and it allows you to edit, create or resize drawings without compromising image quality. And, you can change your ideas into full-blown, animated drawings. This is an open source tool that is part of the KOffice Suite of products. What’s nice about this system as well is that it’s set up similar to Adobe Photoshop with the layers on the right and the tools on the left. This will help you better learn the system if you have used any type of Adobe product in the past. Plus, most of your tools are already visible, which means that you won’t waste time going into dropdown menus.